Established in 1962, ISS has a long history of providing solutions for contractors, developers, corporate, industrial, institutional, pharmaceutical and healthcare clientele on time and on budget. Integrated Security Systems is a full service systems integrator specializing in Access Control, Life Safety, Fire Alarm, CCTV, PSIM and Mass Notification Systems. Let us help you protect your property and well-being with the latest and most reliable security and fire/life-safety technologies available. You need a company that can make quick decisions and has a can-do attitude. When it comes to minimizing your company's risk and maximizing your budget, ISS will provide the exceptional service and reliability you deserve. Your company needs a “trusted advisor” that can recommend the latest in solutions and technologies. 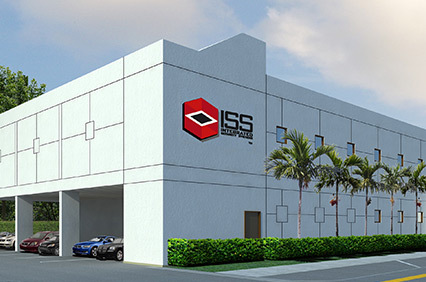 With our Corporate Headquarters in South Florida and strategically placed regional locations, ISS is ideally staffed to provide a quick and competent response team to meet your service and project needs. From protecting your customers and employees from smoke and fire, to limiting access to sensitive areas such as data storage facilities, you will get a customized solution using the latest products to deliver results that will exceed your expectations. 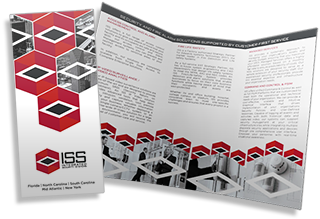 The experience of the ISS Leadership Team makes Integrated Security Systems one of the most trusted providers access control, CCTV and Fire Life Safety solutions in our market. The depth of experience and daily involvement of the ISS Leadership Team is one of the reasons for our success since 1962. Jeffrey S. Nunberg is the President and CEO of Integrated Security Systems. 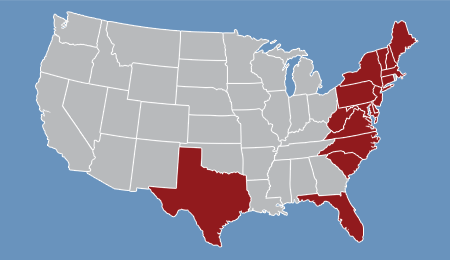 He has operated this multi-state operation successfully since 1981. ISS is the leader in Design Build security IP Video and life safety (fire alarm) systems. Joe's Background is in Network and Systems Engineering and Design and has earned a Master's Degree in Information Technology. He also holds several industry recognized certifications from both Cisco and Microsoft and has extensive experience with Databases and Internet Technologies. He has assisted with the design and deployment of many levels of infrastructure, including several high-capacity world-wide terrestrial and satellite networks as well as campus and individual office implementations. As Chief Financial Officer, Maggie Wood is responsible for the financial operations at Integrated Security Systems. She has over 20 years of progressive experience. In her few years with ISS, she has attuned the business and employees to the changing trends. Her knowledge and motivation have attributed to the growth and expansion of ISS. Maggie graduated from Barry University with a bachelor’s of science in Accounting. Over 15 years of management experience with marketing, sales and service. Developed and managed sales and service teams. Executed business processes and strategies to meet and exceed goals successfully. Initiated business growth through new marketing, sales and business delivery initiatives. As National Sales Director, Todd Galimidi is responsible for the successful planning and execution of all sales activities to achieve company growth and customer satisfaction targets throughout Florida, The Carolinas, Mid-Atlantic and New York. With over 30 years of progressive experience, Todd develops, recommends and implements appropriate sales strategies to grow ISS’s market-share, maximize employee talent and achieve outstanding customer and employee satisfaction. Prior to joining ISS, Todd was responsible for the Southeast Region for a Fortune 50 building technologies company.